For the TUC’s I Heart Unions week (February 11-15), we’re highlighting the wonderful work trade unions do to empower workers — in this instance through peaceful protest. 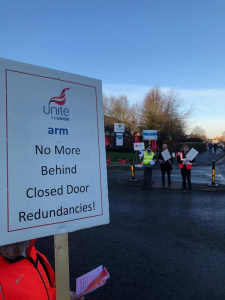 On Monday (February 11) Unite activists outside ARM, a technology firm that designs computer processors which power 90 per cent of all mobile devices, were out in full force protesting workers’ treatment after 180 people were recently made redundant without consultation. They’re campaigning for an end to closed door redundancies and are angry that SoftBank, which acquired ARM in 2016, is refusing to listen to its workers. 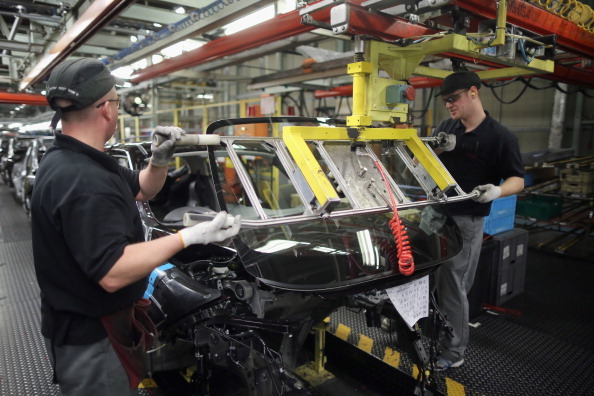 “Company restructures cause significant upheaval and uncertainty for staff — their voices must be heard through meaningful consultation with their union representatives,” said Unite regional officer Matt Whaley. “No one should be forced out the door after a tap on the shoulder,” he added. “Our members have noticed a change in approach by management since the recent acquisition of the company by SoftBank. Arm employs 2,000 people in Cambridge, which is the central hub of its UK operations, and a further 6,000 people globally.